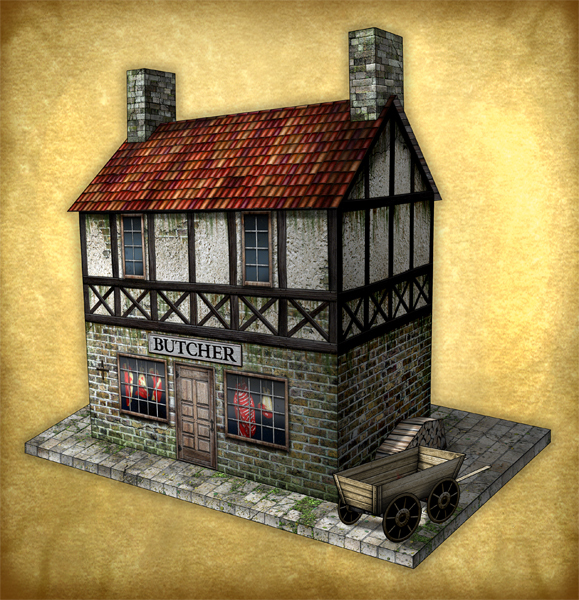 Some previews of the upcoming Butcher's Shop model, including a look at the instructions and some fresh cuts of meat which ended up getting pretty well hidden behind the windows. But it was fun to paint those. 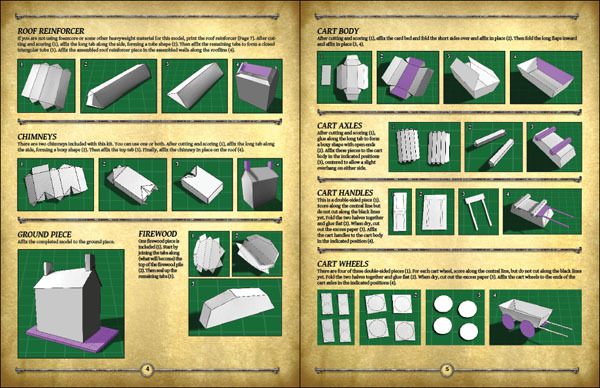 I'm planning to release the Butcher's Shop multi-layered PDF kit on Thursday, and maybe (if the files are not too huge) a PSD version. The Butcher of Rake's Corner single-look PDF model will be out on Friday. Those are great looking meats. Love this model! It'll fit in so many different time periods. And yes, the meats look awesome! Looking good there Mr G.
Might be useful to have an option where the meat - and maybe some more complete animal carcasses - could be added as hanging from the outside of the shop front (maybe as a 2.5D add on?). This was how European butchers from at least later medieval times into the 20th century displayed meat after all, rather than only indoors (which speaks more of modern squeamishness about such things than past realities). It is possible to open the individual PDF layers in PhotoShop to kitbash and edit. It's a little bit more of a faff, but I have done it with a number of Dave's models. Dunno if that helps, if Dave finds the PSD files are too big. I tried that with a Fat Dragon model and it was locked. 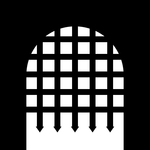 I would like to see an option for changing or eliminating the window display. EDIT: Knowing Dave's models- and I've got over 20 of them, I'd be surprised if the meat isn't an optional extra. What else would you see in a butcher shop window? Well, there it is in all its loveliness. 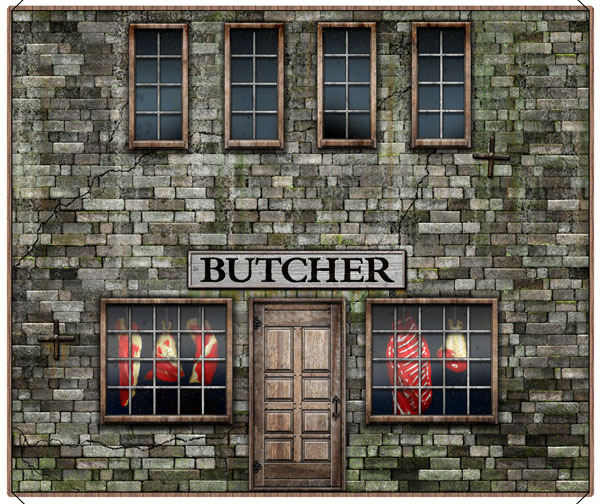 The butcher's shop sign and windows displaying cuts of meat are optional layers. You can leave them off entirely and have an ordinary house, or some other kind of shop if you like. 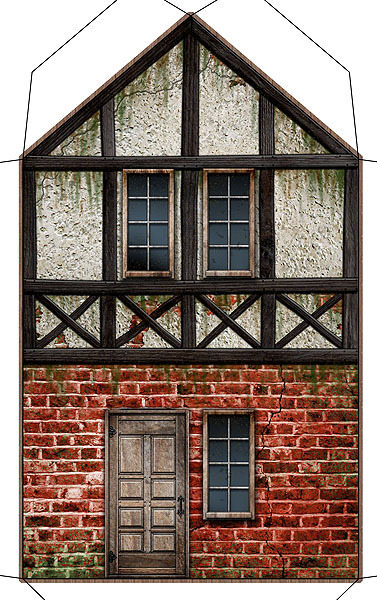 The Butcher's Shop (multi-layered PDFs) and Butcher of Rake's Corner (ready-to-print PDF) are now available for download from RPGNow, DriveThruRPG and Wargame Vault. They'll be available from Paizo's webstore and Ecardmodels soon, too. You da man, Mister G.
Looks like I need to bash up a bakery. I'm putting on the list for my next order Dave. I'd love to see a set of alternative window displays (I can do signs). This could be one I get the PSD files for. I just bought this for a Gangs of New York thing I'm working on.